Discussion Where to change mobile menu setting? 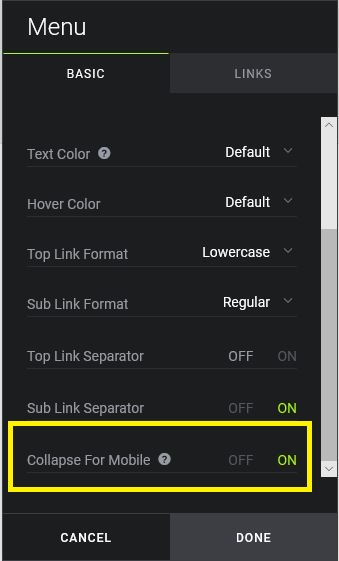 Where to change mobile menu setting? Hello all - I original had the mobile homepage set to just show the menu button. Now it has the whole navbar visible. How can I change it back to just the menu button? I did try to find that setting again, but can't. It's on the settings for your menu. On the basic tab, scroll to the bottom to find the setting.